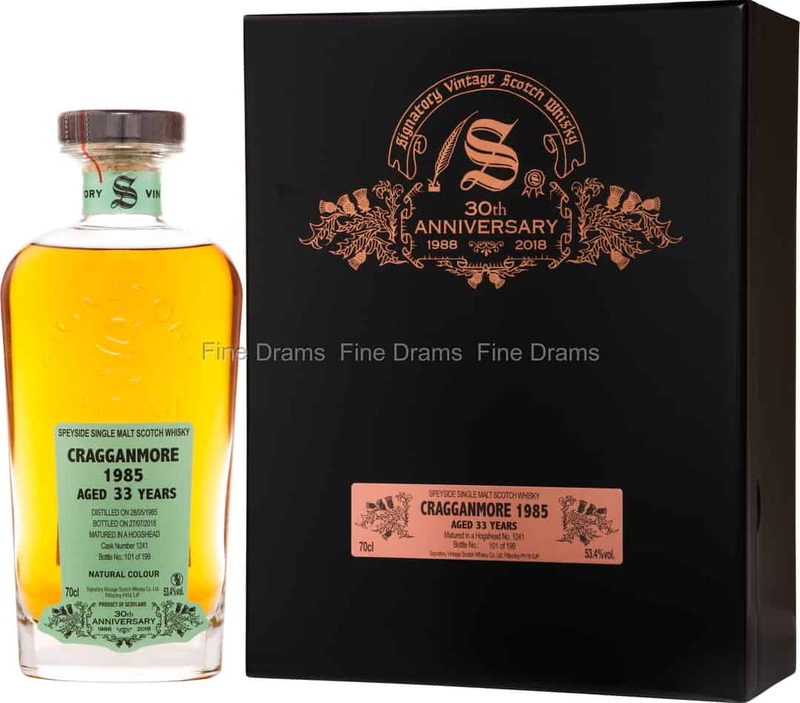 Founded in 1869, the Cragganmore distillery is equipped with four flat-topped stills whose T-shaped lyne arms encourage the reflux of part of the alcohol vapours, which are then re-distilled. This unique shape creates a particularly mellow spirit and is renowned for its complexity. Distilled on 28th May 1985, this version invites us to discover a palette of flavours and aromas in constant movement which has no qualms in retracing its steps to gain more richness and concentration. The fruity and empyreumatic registers that are continually developed throughout the tasting are a perfect example. Profile: the complex initial nose is slightly medicinal (mustard), exotic (mango) and spicy (nutmeg). It even becomes tarry. The concentrated attack is floral (lily, rose) and jammy (apricot). The intense finish is medicinal whilst intensifying the fruity character of the palate. The end of the palate brings us to a malting floor.